Anxiety, like depression, can be both a symptom of underlying concerns, such as posttraumatic stress, and the cause of other symptoms, such as sweating and insomnia. While some people experience anxiety in the form of phobias, others find themselves in a chronic state of worry or unease, and still others experience panic of varying severity. According to the Anxiety and Depression Association of America, anxiety affects 40 million adults over the age of 18 in the United States. This means that about 18% of the population struggles with the effects of anxiety, which may include breathing difficulties, headaches, trembling, nausea, and more. Any type of anxiety can be debilitating and have significant long-term impacts on physical and mental health, especially with prolonged experience with the aforementioned symptoms. Therapy can be beneficial in reducing both the physical and mental issues that can come with anxiety. 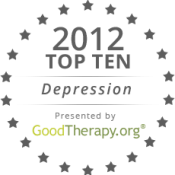 As with our previous top 10 lists (including relationships and marriage websites, depression websites, ADHD websites, and grief and loss websites), we selected the 10 best resources on the web for 2012 related to anxiety—GoodTherapy.org excluded—to help people better understand and cope with anxiety issues. Among the criteria we used to select our top 10 websites are quality and depth of content, presentation, and functionality. Anxiety and Depression Association of America: A national nonprofit organization that works to raise awareness and improve the lives of people living with anxiety and depression, Anxiety and Depression Association of America is a comprehensive resource for facts and information about a variety of anxiety-related issues as well as treatment options. Anxiety management, age- and gender-specific anxiety information, and resources for professionals are also available. Anxiety.org: Developed by doctors at the UCLA Anxiety Disorders Research Center, Anxiety.org bridges the gap between professionals and consumers by offering a wealth of research-based news and information in a consumer-friendly format. Site visitors can learn about different types of anxiety, how to deal with anxiety issues, and search for an anxiety specialist in a directory of health care providers. Anxiety Social Net: Anxiety Social Net is an online community for people living with anxiety. Membership is free and allows users to create a profile and participate in live chat, support groups, and an anxiety Q&A. Anxiety Social Net also offers a member blog where users can share their stories, as well as a therapist blog for a professional perspective. Stress and Anxiety Research Society (STAR): The Stress and Anxiety Research Society is an international organization of researchers who study anxiety, coping strategies, and stress. STAR holds an annual conference for members from around the world to share research findings and discuss clinical research applications. 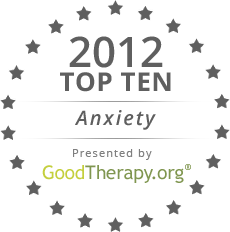 The Anxiety Network: The Anxiety Network provides information about panic disorders, generalized anxiety, and social anxiety. News, blog posts by anxiety experts, and information about related issues and how to cope with anxiety are also offered. The Anxiety Network also provides an online bookstore for consumers to purchase recommended anxiety resources. The Reality of Anxiety: The Reality of Anxiety is an acclaimed personal blog. The author, who details her struggles with managing anxiety since 2006, has developed a large online following. Real-life strategies for coping with anxiety and managing stress are also offered. Readers can subscribe to email updates and get information regarding recommended anxiety resources. The Child Anxiety Network: The Child Anxiety Network is dedicated to anxiety issues in children and youth. Child-specific information about symptoms, coping strategies, and resources for finding a professional health care provider are offered. 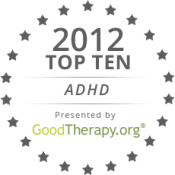 The Child Anxiety Network also features child anxiety and parenting seminars and multimedia resources for parents. Panic Survivor: Panic Survivor is an online community of people living with various anxiety issues. Users can interact through a forum and live chat. Members can also submit their stories and view anxiety-related news and articles. My Anxious Child: Developed by two licensed therapists with more than 30 years of combined experience treating and researching anxiety, My Anxious Child offers a blog that provides tips and techniques for parenting an anxious child. Parents can also purchase the “Turnaround” program, an acclaimed educational tool that helps children overcome anxiety issues. I Am Living with Anxiety: I Am Living with Anxiety is a personal blog run anonymously. Self-help tips and cognitive behavioral-based tools detail how to manage and cope with anxiety in daily life in an easy-to-read, consumer-friendly format. We want to know your picks for our Top 10 awards. Go here. I am curious to check out the anxiety network! I have this little twinge of fear that this means we would then all be feeding off of one another’s anxiety and stress but I hope not. I hope that it is a way for those of us who suffer from anxiety disorders to relate to others who are going through the same thing and maybe even share thoughts and ideas about things that have worked for us in the past. It is definitely one that I am planning to check out soon! good to see a lost of websites focused on different aspects.would serve as my go-to guide if I ever need help with any of these aspects. also I’d recommend putting together a list which combines all of these lists so that all resources are available in a single page. would make for a great share to anybody in need. anxiety can take many forms..for me it is the fear of large crowds of people. although this may seem like a big worry to some its easy to get by with it. I don’t see myself going in for ‘treatment’ because frankly I don’t think it’s going to work. but having others to share and talk to others who are in the same boat is always welcome. I will check out a few of these sites that involve people. thank you for this. While anxiety and dealing with it may need more than just visiting a few sites, this list is welcome.. Because it can be a start for some people who are reluctant to step out and seek help. And also serve as a place where people can ask questions that they were too reluctant to ask someone in real life. Why it could even be the starting point of them choosing to go with therapy after all! 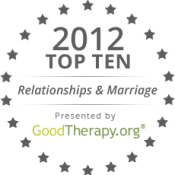 think that these websites go best when served with a great big dose of talk therapy too! I have had a few anxious moments this week. All to do with my health again. I had a pain in my right calf and thought I had a blood clot. I had no reason to think this, it was the first thing to pop into my head. The good thing this time is that I have spoken to my partner about this pain, and she is totally supportive. The pain has now gone, which was probably just a pulled muscle, and I’m fine. Born out of the recognised need that access to mental health care is not always readily available to those who so desperately need it, when they need it, another unique service is the Stress Community – dedicated to fill this need, to provide 1 million stress and anxiety sufferers with the tools, guidance and support with a professional, interactive user experience and supportive community – with extensive resources, cutting edge innovation and online learning course, assessment, Q&As, tips, skills training, online therapy sessions, group support sessions, and professional stress and anxiety support and guidance – make this service one of a kind and hoping to alleviate the difficulties sufferers have to endure. and its FREE to anyone needing it. My husband has suffered from depression and I found it hard.He accepts the depression almost with open arms and a smile.Try doing it too,it may lessen your suffering.Try checking out anxieti.org for more easy tips about anxiety. These are really some good resources that can help in knowing more about stress and anxiety as well as help in recovering from such typical situations. Thank you for sharing such source full information with us. Stress and anxiety are two basic psychological diseases that are very common in young peoples. Anxiety is not any kind of depression, depression have a separate category. Anxiety is basically a feeling of fear.